Enjoy the benefits and freedom of leashless climbing without the risk of losing your tools. 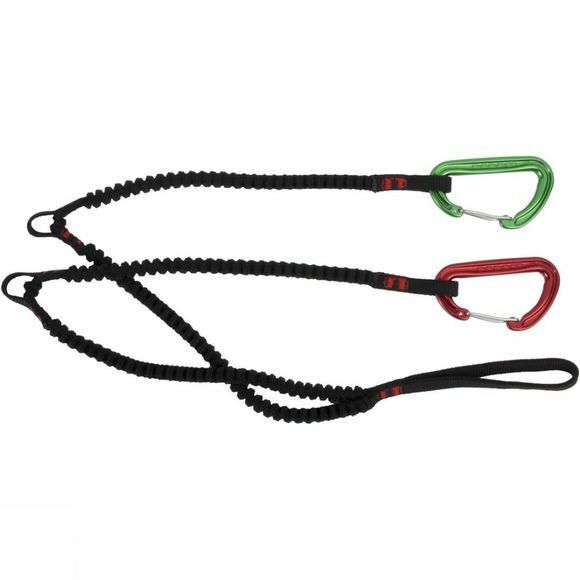 Stretch leashes with colour coded wiregate Phantom biners attach you to your tools but allow you to change hands. Perfect for long committing routes, all round winter climbing, or for those taking their first swings into the modern idiom.